Our highly concentrated MC4+ is an incredibly effective way to deal with small leaks. Protecting and sealing from the inside, it can infiltrate really hard to reach places, reducing the need for a more costly repair. One dose could be all it takes to fix the leak and restore pressure. A 500 ml bottle will provide effective treatment for a typical 100litre/ten radiator system. For larger systems, use further MC4 as required. To introduce MC4 to the system, we recommend using the MagnaClean® canister to dose the system. Alternatively, dose via a radiator or the F&E tank. 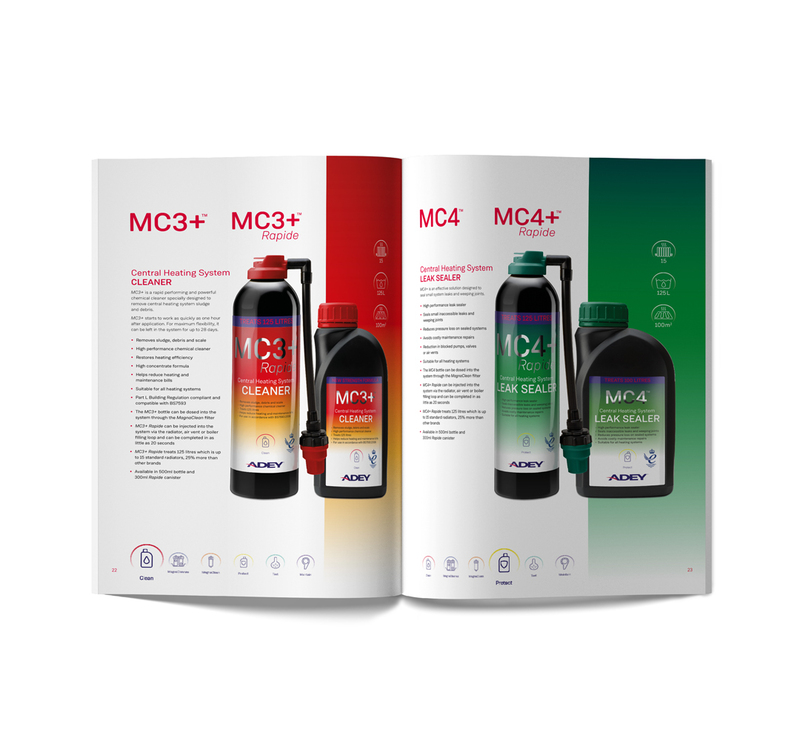 For long-term system protection, use MC4 Silencer in conjunction with ADEY’s MC1 Protector. Do not use in single feed indirect cylinders.